Many of us have more clutter than we’d like. If your house is full of items that are unused and taking up space, it’s time for you to make a change. Here are four tips for decluttering your home. Depending on how big your home is and how much you’ve accumulated, decluttering your home could take hours, days, or weeks to complete. While you might want to get this project over with in one fell swoop, you need to take your time. Give yourself a reasonable deadline so you can break the task up into smaller parts. If you’re worn out after hours of sorting and throwing things away, call it a day and rest until your next shift. 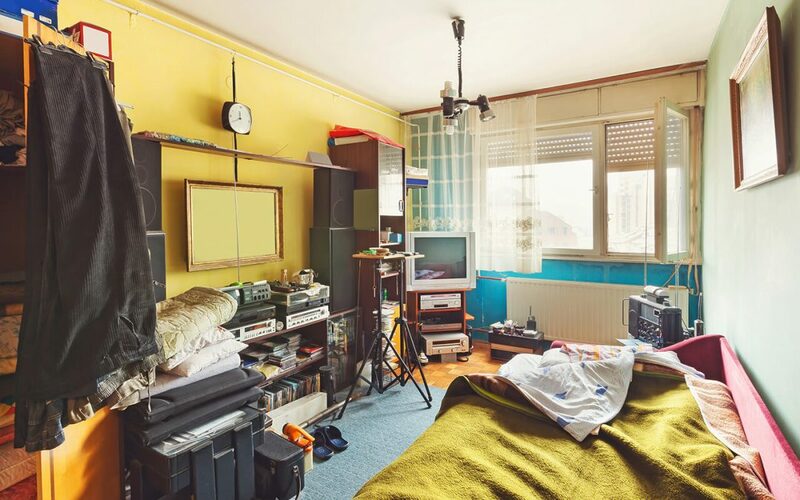 Part of why clutter becomes such an issue for people is that they keep things long after their usefulness has passed. Valid reasons for holding onto items include regular use, strong sentimental value, or safety reasons. A rule of thumb is: if you never use it and it doesn’t mean anything to you, get rid of it. Just because you don’t need something doesn’t mean someone else won’t find it useful. Decluttering your home can help others in need when you donate usable items to charity. You can give coats, hats, and other clothes to homeless shelters and charity drives. During the winter, many organizations set up donation drives for winter clothing. The best tip for decluttering your home is to keep it organized so you won’t have to go through this process again. Hold yourself accountable for not making unnecessary purchases. When you do buy something, find something similar to donate or throw out. After you have sorted through and organized all the belongings in your home, make sure that everything is always put back in its proper place. Decluttering your home can bring you a great deal of satisfaction. When you realize how much more room you have, you’ll be glad you took the time to clear out your space. Cowan Inspections Group offers home inspections and related services to the Greater Salt Lake City and Park City areas. Contact us to request an appointment.